Hello, I’ve been a victim of my narcissistic mother in law,she has isolated me from the rest of the family members.Now she has started turning my husband against me. I’v tried to avoid her behaviour,but she keeps calling my husband and telling him stuff that was never intentioned and never spoken of. I’ve also had to take antidepressants because of her behaviour towards me. Is isolation a form of domestic violence. Is there anyone I could talk to? How do I deal with such a person? 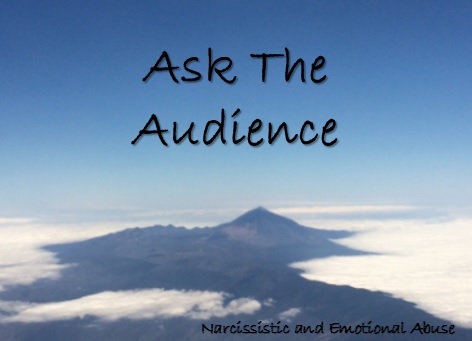 Is your husband narcissistic too? If he is not, you need to tell him what’s going on and reduce your contact with her. If he is also Narcissistic ( like mine was), your chances of getting his support are drastically reduced to almost zero. Talking to her will NOT work so I wouldn’t recommend that. I tried it and it blew up in my face. Take control, don’t look for her approval. You are not a doormat. Have as least amount of contact with her as possible. They don’t change.